The way the situation was handled and the resulting drama took away not just from her, but her opponent Naomi Osaka. And reminded us of the double standard that still exists on the court today. Whether you’re a tennis fan or not, you know Serena Williams and you know that she’s heralded by many as the greatest athlete of our generation and some say GOAT (Greatest Of All Time). So when she got into the finals of the US Open, for many it was a no-brainer. Of course she would. 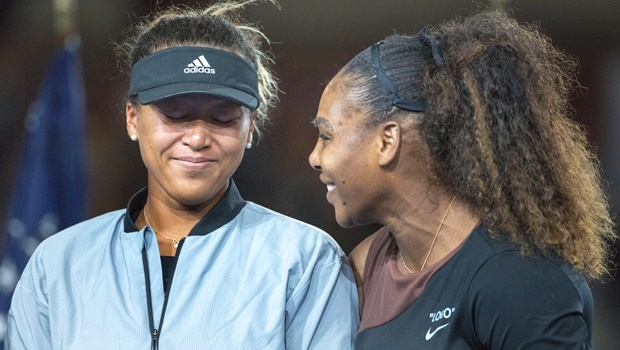 But what made the match really exciting and a great thing to watch is the fact that Serena's opponent was Naomi Osaka, a Haitian-Japanese 20-year-old woman and a breakout star by any means. Naomi is a massive fan of Serena’s and was of course excited to be playing against her hero. She even said “I love you” to Serena in a prematch interview with ESPN. It was set to be an historic moment and probably one of the biggest moments of Naomi’s career. But thanks to chair umpire Carlos Ramos that was ruined for both Serena and Naomi. Ramos basically made a far bigger deal of what was a minor infraction and turned it into an emotional and controversial moment – one that will not be soon forgotten by anyone who loves tennis, or who even has a social media account. As Sally Jenkins so poignantly says in the Washington Post: “Williams abused her racket, but Ramos did something far uglier: He abused his authority.” He took something from both those women when he decided to turn what could have been a small issue and handle the situation so that it didn’t blow up, into something far greater. Good umpires or referees in every sport know that it is their job to enforce rules, yes, but it is also their duty to control situations, especially when players become (rightfully) upset. They need to mediate the situation while still respecting the players involved and enforcing the rules. But instead Ramos decided to insert himself into the match and make himself the ultimate star of the women’s final and also take away from Naomi’s first Grand Slam title and Serena’s position as a great athlete who was giving a brilliant young athlete the chance to show her stuff and give her all. And why did he do this? Because a woman shouted at him. A woman was aggressive in her nature towards him. She stood up for herself and Ramos was not impressed by it. So he docked her a point, ended up fining her $17 000 and stole what should have been a great moment from two women who worked hard to get where they are. There are many examples of male players throughout the sport's history who have lost their tempers, sworn or reprimanded umpires and even damaged their equipment without being penalised for it. And there are many examples of this with Ramos himself. Ramos first issued a warning over “coaching” when he saw that Patrick Mouratoglou had gestured to Serena during the match. Mouratoglou admitted to doing so, but he also said "I was coaching but I don't think [Serena] looked at me. [Naomi’s] coach [Sascha Bajin] was coaching the whole time, too. Everyone is doing it 100% of the time. “I was, like 100 percent of the coaches in 100 percent of the matches, so we have to stop this hypocritical thing,” he told ESPN. “It's strange that this chair umpire was the chair umpire of most of the finals of Rafa [Nadal] and [his uncle] Toni's coaching every single point and he never gave a warning so I don't really get it,” he continued. Serena denied that she and her coach had ever discussed signals and isn’t sure why Mouratoglou would say that. She said she would discuss it with him. But after being given a warning for something so ludicrous, she was upset and busted her racket. This was seen as a second offense so the penalty was more severe. It should really have ended there, but when Serena said to him “You stole a point from me. You’re a thief,” Ramos did not let it go. He did not see it as just a player upset over being penalised. He penalised her again for “verbal abuse” even though far worse things have been said to him by male players. Naomi eventually won the game and all congratulations should go to her. But this game will forever be marred by the actions of a man who could not deal with a woman talking to him heatedly. The entire crowd was upset, and reasonably so, and so were both players who cried and were rather emotional during the trophy presentation as the crowd booed. But to Serena’s credit, she turned it right back to Naomi because this was her moment. She said to the crowd, “Let’s make this the best moment we can” and comforted and celebrated the new champion. Women, and especially women of colour, have been told to keep quiet for far too long. We are supposed to be meek and mild and behave and never get angry or show that you’re upset, especially towards a man. But that narrative needs to end. The problem here is not Serena and her behaviour (yes, she lost her temper and maybe she shouldn’t have, but she’s human). It is the unfairly measured response to that behaviour because of the fact that she is a woman and that she is black. I’m sure I’m going to get hate mail from people saying I’m making this “a race/gender thing”, but tell me how, honestly, her gender and the colour of her skin do not come into play when you take a look at similar past infractions by white men that were treated very differently and even by the same umpire?